Every household in Ireland is responsible for one ton of food waste per year. That’s between €400 and €1,000 per household per year thrown into the bin. And it’s not just a waste of money, it’s also costing the earth. Food waste sent to landfill does not harmlessly break down but instead releases methane, a greenhouse gas 25 times more potent than carbon dioxide. Where possible we should prevent food waste in the first instance. Top tips to prevent food waste include checking your store cupboard before you shop, have a list, only buy what you need and don't be tempted by special offers on perishable foods. 20 % is Potentially Avoidable food waste – things like bread crusts, potato skins. This waste could be used in another way; crusts could be made into bread crumbs and then frozen until you need them. The good news is food waste doesn’t have to end up in landfill. It can be recycled by using your food waste recycling bin. All households living in a population agglomeration >500 people are entitled to a Food Waste Recycling service from their waste collector. Click here to see if you're entitled to a food waste recycling bin. Households with a kerbside collection for food waste can simply separate cooked and raw food and leave the bin out as part of your normal kerbside waste collection so it can be sent to a composting site or to an anaerobic digestion plant to make green energy. Home composting is an option if a food waste recycling bin is not available to you at the moment. 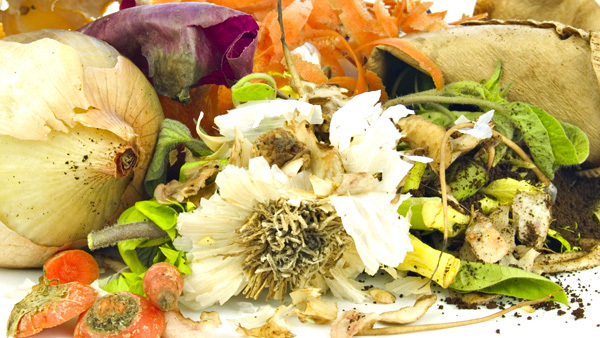 Click here for additional information on how to make compost at home. Stop Food Waste are challenging Irish households to reduce their food waste. Participating in the Stop Food Waste challenge will start you on the road to less food waste and could save you as much as €60 each month. As we all waste food for different reasons, there will be different ways for each of us to reduce food waste at home. The Stop Food Waste Challenge, a community based campaign, brings people together to learn and share ideas about reducing food waste. The Challenge, which consists of four 1-hour meetings, is run by Stop Food Waste or local trained facilitators and covers the main steps involved in reducing food waste. 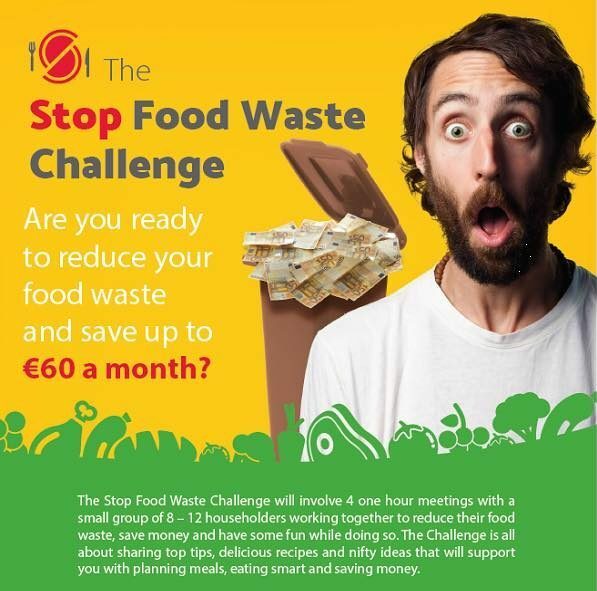 For more information on the Stop Food Waste Challenge complete the Contact Us page or check out this information leaflet. Go on, take the challenge!